Q: This was the first draft where Cho was the emperor of the war room. How would you say he did? DrE: (@BaselineDrE) I think Cho has been running the draft for the past couple of years — I remember there was a quick peek in the Bobcats/Hornets draft “war room” in a documentary that Fox SportsSouth put together after the 2012/MKG draft, and Cho was pretty clearly running things then. But anyways, great job this year. The Vonleh pick was easy. But the machinations with picking Napier to extract some assets from the Heat, still getting PJ Hairston, then turning those second round picks into cap space — that was good stuff. Bradford: (@bradford_NBA) It’s useless trying to look into the future to judge a draft. It’s more productive to judge the value of the asset relative to the lost opportunities of other assets. Business-y enough for you? That’s the boring way of saying Cho extracted maximum value out of the available picks. Noah Vonleh was in a different tier than the other prospects left on the board. I think that when a prospect falls, what often happens is teams that didn’t expect a player to be available are so locked in on their prep work with the players they expected to be available and they end up sticking with the original plan. Vonleh didn’t even work out in Charlotte. Cho has said they had him rated much higher than the 9th pick. And he didn’t hesitate to pull the trigger. Charlotte was in the enviable position of being in the top 10 but not needing a player to make an immediate impact. You absolutely have to swing for the fences and work out the details later. Hairston was an obvious pick. Everyone says he has lottery talent and it’s the type of talent the Hornets were desperate for. It was the perfect match of talent and need. Grabbing some cash and freeing up some extra cap space is icing on the cake. The 55th pick is almost certainly not worth the $2 million on Haywood’s contract. Any time I feel dismissive about a seemingly minor deal, I remember Cho trading Hakim Warrick for Josh McRoberts. ASChin: (@BaselineBuzz) Instant draft grades aren’t worth much since we have no idea how any of these prospects will develop over time BUT if we’re talking about managing Draft Night and getting as much perceived value out of those picks as possible, it’s difficult not to be impressed. Cho gets Vonleh, a guy who many thought would crack the Top 5, with a the free Lotto pick he finagled from Detroit two years prior. Then he picks Hairston, who has Lottery talent (and some character concerns) late in the first. Nabbing an extra future second rounder, dumping Brendan Haywood’s contract and netting some cash to pay off some of the T-Time amnesty was just gravy. Q: What are your thoughts on Noah Vonleh? What type of role do you expect him to play this season and how does he fit in the Hornet’s long term plan? DrE:I honestly hadn’t watched much Vonleh video in the weeks leading up to the draft, as I figured he was going somewhere between 5-7. The only unfortunate thing is that he overlaps quite a bit with Cody Zeller. Not totally, mind you — Vonleh’s a little tougher, a better rebounder and on-ball defender, while Zeller actually appears to be the more fluid athlete — but still there’s a lot of overlap. And I think that you’ll see Clifford bring Vonleh along much like he did with Zeller. I do wonder if one of them (Vonleh?) could guard some of the lighter centers in the league — which would be a path to more court time. Long term, you hope that the LaMarcus Aldridge/Chris Bosh comps are true for Vonleh. The ninth pick, as we’ve seen, is often a good place to get a future star that slipped — generally because teams in the spots immediately preceding often start reaching to fit specific needs. Bradford: I’m not a college guy, outside of NC State so the extent of my experience with Vonleh is on Draft Express. He has all the physical tools you want in a big and clearly has some skills. His footwork and feel for the game aren’t great. You know who has great footwork and an excellent feel for the game? 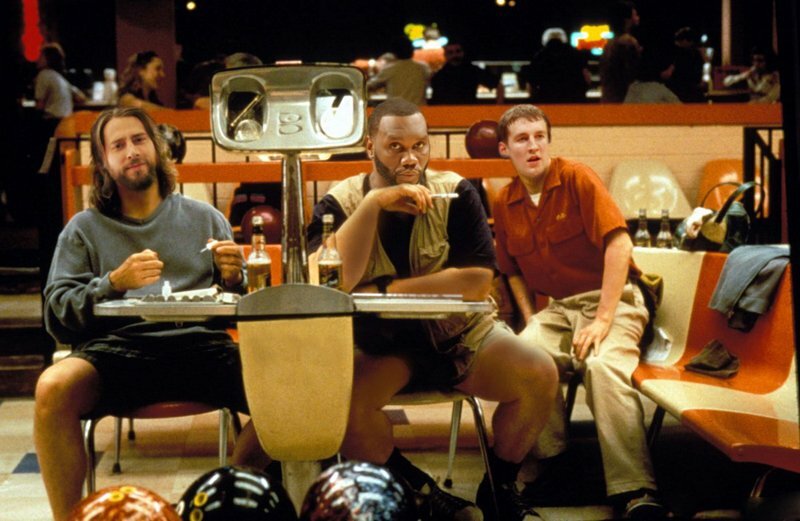 Al Jefferson. Apparently there are questions about his work ethic, but he seems to work really hard on the court so we’ll see. It can’t be said enough, but Vonleh is not ready to contribute. He’s not Bismack Biyombo, but he has a lot to learn to be a productive player. Luckily for him, he doesn’t have to be. I expect Zeller’s minutes to get bumped a little and Vonleh might see 15 minutes per game. Steve Clifford will bring him along slowly, something Biz could have benefitted from. He’ll need to work hard in practice and be a willing listener. 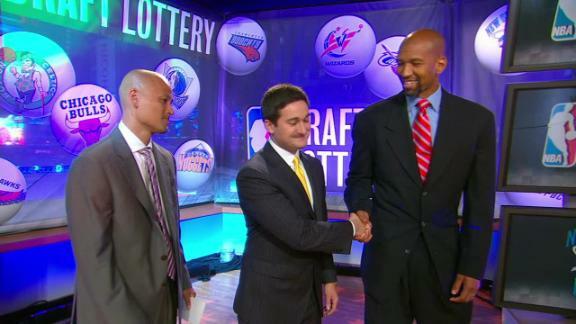 A lot of people think this pick means the end of McRoberts and Zeller. I think that’s way off. Vonleh isn’t ready to contribute and doesn’t fit what the Hornets need right now. And there’s no reason Zeller and Vonleh can’t play together. I think they can compliment each other really well in time. ASChin: You never know with bigs. 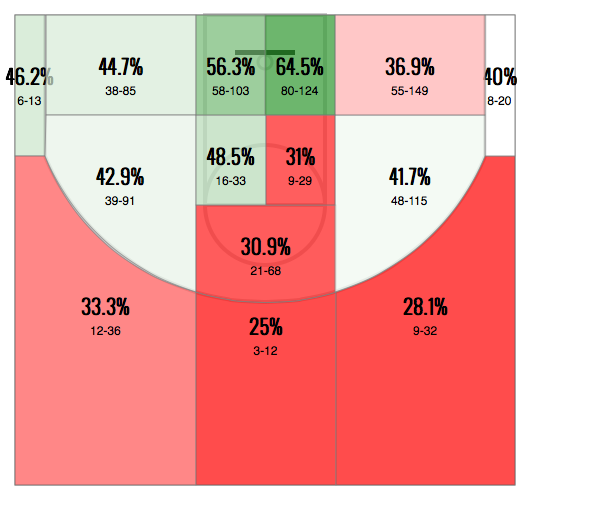 Especially ones as young as Vonleh is (18). He’s physically close to being ready. Wide base. Strong lower and upper body. Fantastic mobility. But it’s the mental part of the game I’m worried about. He played wing and some point guard in high school and the low post game looks raw on tape. The nba is so fast. 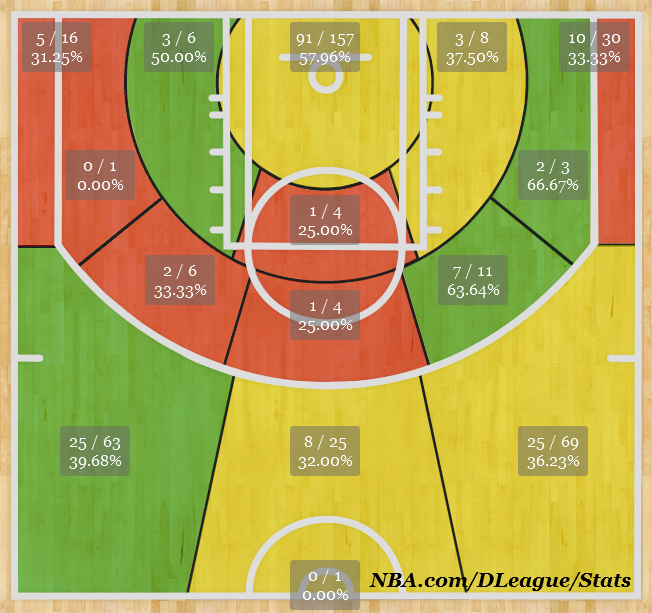 Cody was further along coming out of Indiana last year and Clifford stripped down his offense to the bare minimum. For example, we saw Cody pull some nifty post stuff in Summer League last July and we haven’t seen it since. Clifford will likely do similar stuff with Vonleh. Keep it simple and bring him along gradually. He has tremendous upside for sure. Q: PJ Hairston was clearly a target from day one. Same questions as with Vonleh. Do you have any reservations given his character concerns? DrE: Sure, you have to have reservations with Hairston. Not many potential NBA players managed to get kicked off their college team like he did. But young, talented guys are always going to get second (and third, and fourth) chances, especially when their transgressions didn’t cross a certain line and they say the right things about having learned from their mistakes. Bradford: Let’s quickly rehash why there are character concerns with Hairston. The concerns stem from his suspension at UNC. The infractions include borrowing someone’s rental car, speeding, and throwing weed and a gun out of a car at a checkpoint. The weed thing is whatever. Nobody is entirely sure about the gun situation and charges were dropped. So he essentially dropped out of the lottery, where his talent and production placed him, because of the NCAA’s draconian rules in an environment at UNC that hasn’t exactly been a harbour of compliance of late. We’re not talking throwing your girlfriend down the stairs types of concerns (yet Lance is still going to get PAID). No DUI. I have no reservations character wise. PJ can shoot, he’s built like an NBA player, and he’s done it at the college level and the D-League level. He’ll have to improve defensively to be a starter. He’ll need to work hard in practice. But so does every other rookie. He was a steal at 26 and exactly what the Hornets needed: a straight long range gunner with size. ASChin: He’ll be a rook in a lockeroom full of good guy vets (unless they sign Lance) – maybe it’s just what he needs: to be surrounded by role models. On the court, he’s gonna have to get into top shape and I’d love for him to turn into at least an average defender. His stroke is insane and I’m excited to see what he’ll be able to do off the ball eventually as a cutter given his strength and size. Looks like he’ll rebound well for his position too. Lots to like…as long as he stays out of trouble. Seems much further along than Vonleh and I wouldn’t be shocked if he was playing 20mpg come PLYF time. Q: With the draft now complete, it’s time for free agency, summer league, training camp, and preparation for the upcoming season. What do you expect out of the team over the next 4 months? DrE: With the caveat that some free agency dominoes will likely fall by the time this is posted so this will probably sound idiotic in retrospect, it’s pretty clear that the Hornets will be looking for another wing player and a backup PG (or two) in free agency. Lance Stephenson, Gordon Hayward, Luol Deng and Chandler Parsons are probably the best wing players that the Hornets realistically have a shot at. Hayward is restricted, Stephenson and Parsons aren’t but seem highly likely to return to their teams, Deng is truly unrestricted but not as good of a spacer/shooter, and is also older and likely to start declining over the next few years. But it is safe to say that adding any of those guys would be a significant upgrade for the Hornets and cause for much celebration. It’s just hard to see it happening — surprise me Rich Cho! 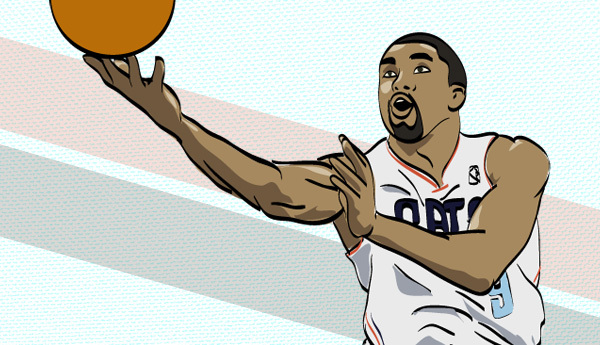 At backup PG, Ramon Sessions’ return has always seemed likely. The Hornets have been specifically mentioned (along with numerous other teams) as potential Shaun Livingston suitors. Patty Mills might be an interesting option, too. As far as any departures (in trades) I think we all know that Gerald Henderson is by far the most likely, followed by Gary Neal, who is on a really reasonable deal and may now be expendable with PJ Hairston on the roster. 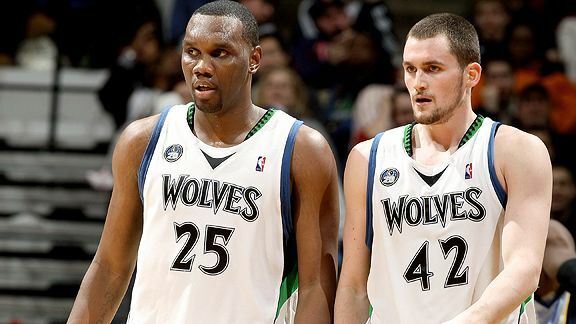 If there is a bigger sign-and-trade deal to be had, the inclusion of MKG or Zeller wouldn’t totally shock me either. I would say Bismack Biyombo, but I’m not sure what his value is around the league as he nears the end of his rookie scale contract. Summer league wish list is pretty standard: hope that Hairston and Vonleh look good and ready to play some right away, and hope that Zeller has expanded his shooting range some. It will be interesting to see if Vonleh and Zeller can play together, too. 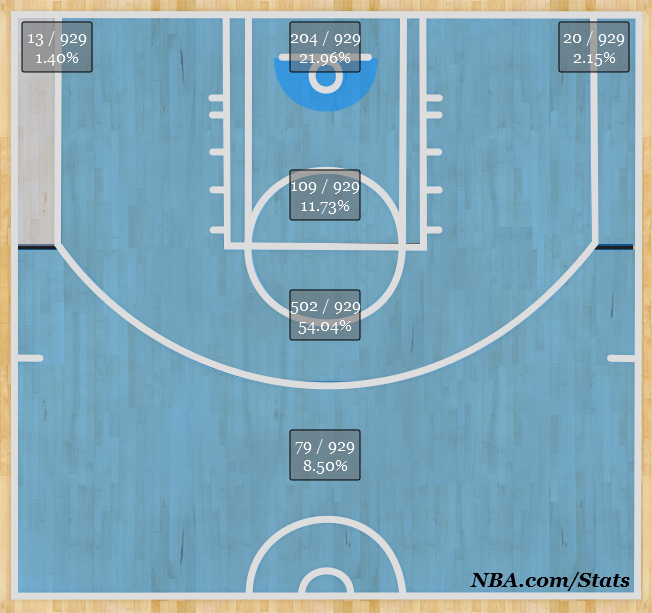 And for training camp, my biggest wish is probably the same as everyone else’s: that MKG can improve that jump shot. Bradford: Honestly, not too much. Cho doesn’t strike me as one to spend for the sake of spending. They’ll sign McRoberts to a new contract to bring the young guys along slowly. He’ll sign a cheap shooter like Anthony Morrow or Anthony Tolliver. They clearly need a back-up PG, probably a Sessions or Livingston type. 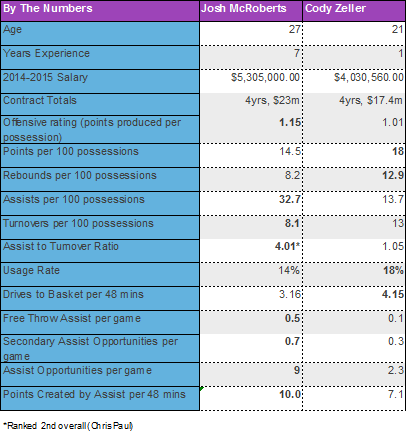 McRoberts will get a mid-level type deal but I don’t expect more than a couple minimum – $3 million contracts. Keep the phone lines open through the trade deadline and go from there. Zeller and Vonleh will get a chance to get their legs under them in summer league (don’t expect them to play all the games though). Jeff Taylor is the biggest question mark. How healthy is he and what can he contribute. I’ve got something going up later this week on his shooting numbers. I don’t expect much from him but I’m hopeful he an get healthy physically and mentally. ASChin: CLT has six guys 24 or younger on the roster and at least five of them will be in the rotation. Veteran mentors and backups at PG, C and a starter on the wings are all on the shopping list. See my full answer here. Q: It’s been a whirlwind 2 months for the Charlotte franchise. From officially changing the name to Hugo, new jerseys, a new court design, and the draft. How excited are you about the future and why? Don’t forget MJ is the worst owner in sports, right national media? DrE: I’m pretty excited, and it goes beyond last season’s playoff appearance and the flawlessly executed transition to the Hornets name. What is even more important to me is that it seems like Jordan has really settled in as an owner. From Rich Cho as GM, to Steve Clifford as coach, to the un-named Jordan Brand folks that have helped with the name/logo/uniform change, Jordan appears to be putting good people in the right spots and letting them do their thing. There are good reasons to be cautiously optimistic about the future of this franchise. Bradford: I could not be more excited. The re-brand has been handled perfectly. The team is on the upswing with solid veterans, guys in their prime, and young, budding talent that has so much potential. It appears that MJ has learned the best way to build this team is to let someone else do it and he clearly has faith in Cho, as do I. The hope is that these guys can stay together for the long haul. If Cho and Clifford are still with the organization in 5 years what they build could be great for the city of Charlotte and the Carolinas in general. ASChin: If they play free agency right, this is a Top 4 seed in the East with lots of room to grow. Clifford is a phenomenal coach and Cho has proven to be a top flight GM. MJ has turned the ship around 180 degrees from the Friends of Michael era and should be applauded for that. The city is excited, fans of the league in general are excited..the Bugs are Back and you can make a good argument that they’ve never been better. Look at those gorgeous books! It took the team four long and mostly gruesome seasons but they finally did it. Gone are the days of the Gana Diop mid-level monstrosities and the Eduardo Najera “14th Men for $5 million” deals. Gone are the five year, $40 million contracts for perpetually enigmatic weirdos (T-Time). Outside of maybe the relatively minuscule miscues of Brendan Haywood and Bismack Biyombo (slightly overpaid $3.8 million), there isn’t a bad contract on the roster. Whereas Larry Brown and Rod Higgins would’ve traded for over-priced role players in years past, Cho instead scoops up under-valued guys on the NBA’s fringe. Chris Douglas-Roberts and Anthony Tolliver were barely in the league last season and Charlotte’s paying them a combined $1.4 million to be key rotation players on a Playoff team. I’ll take that over $18 million of Gana Diop any day. The team’s three key upcoming free agents, Kemba Walker (2015), MKG (2016) and Cody Zeller (2017) are all on restricted rookie scale deals so they won’t be going anywhere unless the team wants them to. Added bonus: Unlike many past Cats’ draft picks, all three are solid prospects worth re-signing. The team’s highest paid guys, Henderson and Big Al, are playing above their salary numbers. The team’s 6th man, Gary Neal, makes just north of $3 million – or about a million less than the Cats were paying Matt Carroll to guard the Gatorade just four years ago. In 2010, Charlotte paid Tyrus Thomas, Diop and Nazr Mohammed a combined $20 million to do whatever it was that they did. 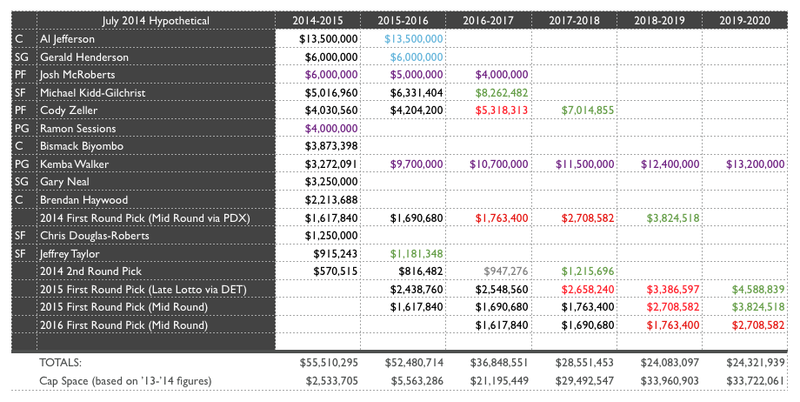 Next season the Hornets will pay the same amount for the collective services of Henderson, Kemba, MKG, Cody and Neal. The team’s strategy has been simple: 1.) invest in cheap rookie contracts, 2.) dump attractive assets on long-term deals for picks and expirings, 3.) don’t sign free agents above market value (especially your own) and, finally, 4.) let father time take care of the rest. Breaking the third rule is what got the Panthers into their current mess and what ultimately led to the Bobcats cap problems back in 2010. Charlotte bid against itself when the Cats re-signed Emeka Okafor in ’08 and the enormous contract ultimately led to them dumping Tyson Chandler for nothing two seasons later. By contrast, Cho strong-armed Henderson’s agent last summer – fully aware that as a restricted free agent, Gerald had little leverage in the negotiations. Presto! Hendo signed to a very reasonable three year deal. Cho’s management of the cap has given Charlotte a tremendous amount of flexibility going forward. 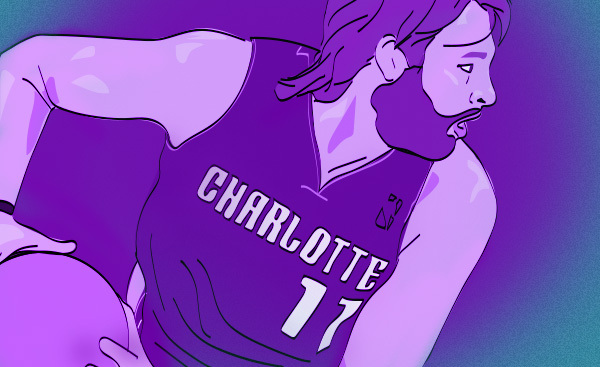 If Josh McRoberts opts out of his player option this summer (basically a given) and the Cats renounce his rights, they’ll be able to throw up to $12 million at a key free agent or absorb one via trade. If, for instance, the Wolves make Kevin Love available, Charlotte has the juice to trade Minnesota a prospect (Cody), a lottery pick (Detroit’s) AND cap space. That’s a Godfather offer difficult to trump. Of course, there’s probably a better chance that neither K-Love, Luol Deng, Gordon Hayward or any other marquee free agent or disgrunteld vet make their way to the QC. In that case, Charlotte’s still fine. They can #BringBackMcBob on a front-loaded deal and save a little cash once Kemba’s extension kicks in the following summer. They could use the rest of their cap space to sign a decent backup PG to a short-term contract (the return of Ramon Sessions?) and bring back at least one of the Tolliver/CDR duo for wing/frontcourt depth. I’m budgeting a three year, $15 million deal for McRoberts. He’ll turn just 29 during the contract’s final year, the timing of which coincides with Cody’s eventual extension. Ramon would probably like a little more long-term security but it’s reasonable to think he’d take $4 million to play close to home with his old pals. 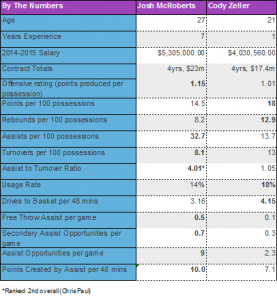 For Kemba’s extension, I just copied and pasted Ty Lawson’s contract – though I think there’s a chance Walker doesn’t get quite that much cash. Maybe 90%-95% of what Ty got. Still, it’s a decent comp going forward. It’ll be very interesting to see what Cho does with his three first round picks over the next two Drafts. Should the team uncover a diamond in the mid to late round – say a TJ Warren or a Kyle Anderson – it would only improve their rosy cap situation going forward. In summary: We may question the selection of Biz in the Lottery. We may ponder what Bradley Beal, Damian Lillard or Andre Drummond would’ve looked like in teal & purple. 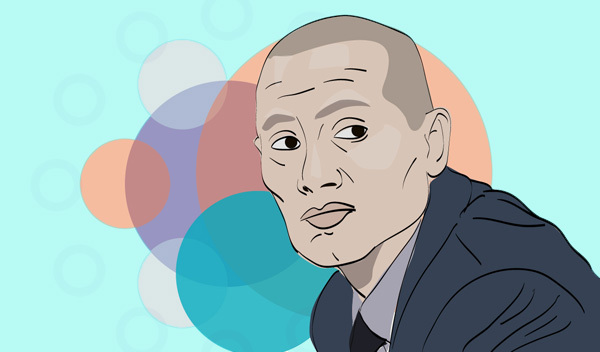 But when it comes to mastering the salary cap and wrangling the teams’ once wild books, Rich Cho has proven infallible. Laughter – as in, “OMFG what did I just see“. Anger – as in, “This is unacceptable, he’s killing us“. Sadness – as in, “I feel really bad for this kid“. If you follow me on Twitter, you know that MKG and his selection as the number two overall pick in the 2012 Draft is to me what the James Harden trade is to Bill Simmons. I wrote before the Draft that MKG was a questionable fit on a team both bereft of scoring and saddled with an ugly history of developing projects. Charlotte had just used the seventh overall pick a year before on the one-way, uber-raw defensive prospect Bismack Biyombo. The chances of Charlotte successfully developing and playing them together for any long stretches were next to nil, especially if they were actually trying to win games. 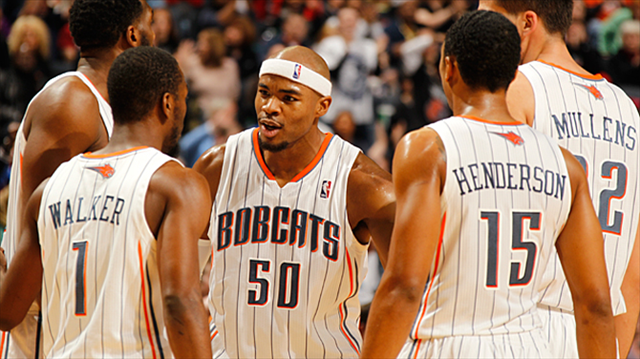 The Bobcats weren’t trying to win at all during their infamous 2011-2012 campaign, a strike-shortened season that led to the league’s all-time worst record. To call it miserable would be an affront to misery. The roster was made so purposefully threadbare that they succeeded in losing their final 23 games – the business end of a 3-34 run. This was all part of general manager Rich Cho’s plan. You see, the league incentivizes rebuilding teams to be as bad as possible in order to secure the highest draft picks. That’s where all the stars are, if you haven’t heard – at the top of the Draft. The 2012 Draft had one guaranteed franchise player in Anthony Davis and Cho reasoned that subjecting an already fragile, tortured fan-base to another major dose of embarrassment was worth a 25% shot at getting him. MKG is by EVERY ACCOUNT an awesome, likable young man. His work ethic and attitude are off the charts and he NEVER takes plays off. Every team needs a guy like that. From the portion of his bio that has been made public, MKG has courageously overcome many obstacles in order to become an NBA player. Notably, he’s struggled with a speech impediment which can be petrifying to those who do not live their lives in the public eye. On the court, MKG is a long, rangy defender who occasionally flashes his potential as a top-tier permiter defender – a valuable skill. MKG is also an absolute disaster on offense. His shot requires a page one rewrite (if that’s even possible) and he doesn’t have an explosive first step or a refined post-up game – so there’s nothing he can consistently resort to while he’s reworking the jumper. While his on-ball defense can sometimes be superb, he fouls early and often and gets lost on screens like he was Gary Neal, not Tony Allen. And because of his offensive liabilities, MKG is unplayable at the end of games especially when the team is down. Wanna guess how many times he’s played over 35 minutes in a game this season? Once. One time. Turns out that you can’t lock guys down when you’re sitting on the pine. In other words, MKG is a long-term project. An intriguing one that any team would love to have sitting at the end of its bench or hustling in the D-League, honing his craft. 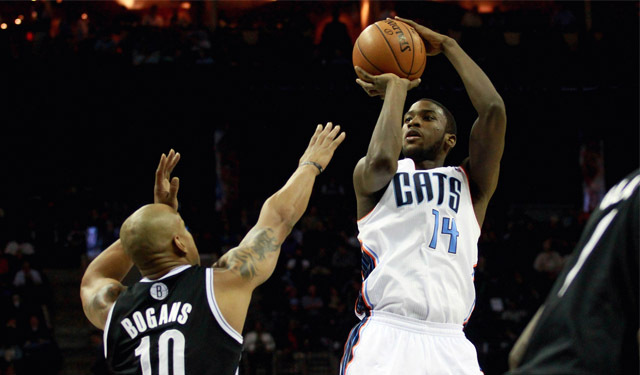 MKG is also a world-class, terrible Number Two Overall pick – especially given the Bobcats’ circumstances at the time. Leading up to the Draft, Cho didn’t go a day without bringing up his Durant/Westbrook/Harden days in OKC: ready-made Lottery saviors with telegenic personalities who revitalized a fanbase and set fire to the league. MKG, with his raw blue-collar game and camera-shy ways couldn’t have been any different. Leading up to the 2012 Draft, there were whispers that MKG’s people were hoping he would not go to Charlotte at number two. They knew how much work his game would require and how patient a franchise would need to be. They knew he’d need to be surrounded by big time scorers who could carry the offensive load while MKG did all the dirty work and learned on the job via a strong internal development staff. Basically, the opposite of the team he ended up going to. Some fans have suggested that we “forget where MKG was picked and evaluate him with fresh eyes“. While a noble gesture, it’s not exactly practical. MKG’s $4.8 million salary this season is nearly as much as Josh McRoberts and Kemba Walker combined. He’s owed $5 million next season and $6.3 million the following. His cap hold will be somewhere north of $9 million once his rookie contract ends in July of 2016. In other words, MKG is making real NBA money. His 26 minutes of play every night are minutes that the team cannot dedicate to other, more polished and productive two-way NBA players. It’s not your fault, MKG. It’s not your fault. Bobcats management put you in a position that did you no favors. Any resentment or impatience that you receive from the fans (this writer included) is aimed squarely at them, not at you. Imagine if Gerald Wallace had been drafted as a Top 3 overall pick? The words “failure” and “bust” would’ve haunted that guy until he was scared out of the league. Don’t let that happen to you. Realize what is really going on and rise above it. If guys like Crash and Lance Stephenson can do it, so can you. It will take time and it might take a change of scenery but you are a legitimate NBA player who will one day excel despite the challenging circumstances in which you’ve arrived. I’m certain of it. From the little I’ve read about how you got here, overcoming obstacles is without doubt one of your skills that is NBA-ready.